Michael O'Brien wins the FIRST North American RS Aero Regatta! The first North American RS Aero regatta was held as part of the Corinthian Yacht Club of Seattle's POD (Pacific Northwest One Design) Regatta. Conditions at Shilshole Bay on Saturday were cloudy but dry, wind South 8-10 kn easing to 5 kn by the final race in mid afternoon. An eleven foot flood tide meant significant current up course. The wind failed to show up on Sunday. Five RS Aeros competed and five races were completed. Four Seattle sailors raced: Todd Willsie (1127 -- Seattle's first Aero), Michael O'Brien (1250), Eric Becker (1251), and Doug Stumberger (1249). 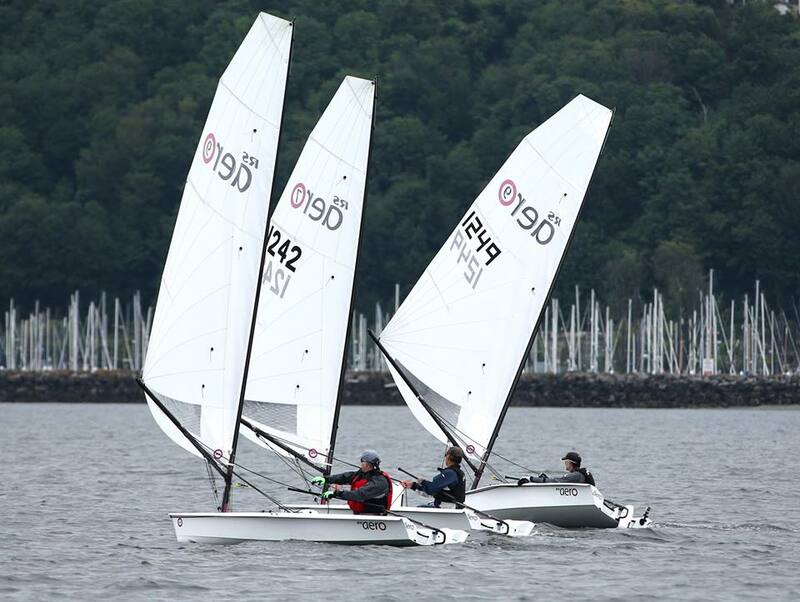 In addition, Doug DuBois from Utah raced 1242, having taken delivery of his boat from West Coast Sailing in Portland the day before the regatta started! The regatta provided an excellent opportunity to start getting these awesome boats dialed in upwind and down, with a lot of discussion between races and in the parking lot about mainsheet tension, leech telltales, downwind steering, etc. 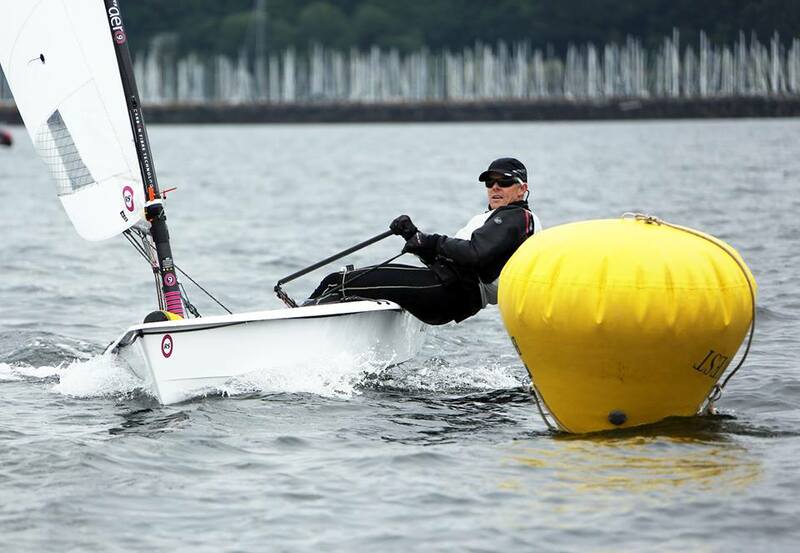 All five of the boats showed moments of excellent speed, but O'Brien (2014 Laser Radial Master's North American Champion) seemed to have an extra "gear" upwind and down, winning four of the five races - his perfect scorecard missed only when Stumberger took a flyer to the breakwater for current relief in race three. Willsie showed especially good speed upwind, finishing in second overall, with Stumberger rounding out the top three. “A huge flood tide made the upwind shorter and the downwind legs very, very long. Fortunately we got in 5 races on Saturday, with no wind on Sunday. We had four Aero 9 rigs and one Aero 7 starting together. Overall, it was a fun, excellent regatta to get the RS Aero racing in the Pacific Northwest (and North America!) off the ground. Next big regatta is the North American championship to be held at the Gorge, Oregon in July - hope to see you all there, see http://www.regattanetwork.com/event/10352 for more information!